July 23, 2018 — The Trafalgar Group surveyed the West Virginia US Senate campaign (July 13-16; 1,158 likely West Virginia general election voters) and tested — for what may be the first time any pollster has done so since President Trump officially nominated Appeals Court Judge Brett Kavanaugh to replace retiring Justice Anthony Kennedy — how the impending Supreme Court confirmation vote will affect a US Senate election. Trafalgar’s initial ballot test response is consistent with other released polls regarding the race itself. That is, Sen. Joe Manchin (D) leads Attorney General Patrick Morrisey (R) 50-40 percent when the question is first posed. For the past month, all West Virginia surveys have delivered results in a similar range. Polling chart courtesy Trafalgar Group. Click on the Trafalgar Group link or the graphic above to see more details. However, the question also was asked of each individual respondent how he or she would would view the Senate race through the prism of whether or not Sen. Manchin would vote for or against confirming Judge Kavanaugh for the US Supreme Court. How much would the answer to that question sway a voter? The answer is: greatly. At this point, the senator has not yet indicated how he will vote. Immediately after the nomination became public, Sen. Manchin stated that he wanted Judge Kavanaugh to complete the hearing process and publicly answer specific questions (Sen. Manchin is not a member of the Judiciary Committee). 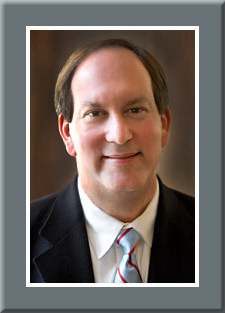 According to Trafalgar, should he vote to confirm Judge Kavanaugh to serve on the Supreme Court, Sen. Manchin’s support within the electorate would substantially grow. However, if he opposes the judge, his campaign against Morrisey falls into the toss-up category. If Manchin votes for Kavanaugh, the resulting ballot test soars to 59-30 percent in the senator’s favor. Should he decide to vote the Democratic Party position and oppose the SCOTUS nominee, his margin over Morrisey drops to just 47-45 percent. It was thought that the summer-long confirmation process would change the flow of many Senate campaigns, but the Trafalgar study is the first to provide data supporting such a premise. Ten Democrats are standing for re-election in states that President Trump carried, six of which he won with a majority. The vote also will be critical for Alabama Sen. Doug Jones (D), who was elected after the presidential election and again comes before the voters in 2020. Counting Alabama, three of Trump’s five best performing states also elect at least one Democratic senator (WV, ND, and AL). The Democratic incumbents whose state electorates voted for President Trump in a percentage greater than 60 are Sens. Manchin (Trump: 68.7 percent), Heidi Heitkamp (North Dakota — Trump: 64.1 percent), and Jones (Alabama — Trump: 62.9 percent). Three more senators represent electorates that gave more than 55 percent of their votes to Trump: Joe Donnelly (Indiana — 57.2 percent), Claire McCaskill (Missouri — 57.1 percent), and Jon Tester (Montana — 56.5 percent). All will be major targets in the confirmation battle, and especially Sens. Manchin, Donnelly, and Heitkamp, because all voted in favor of President Trump’s first Supreme Court nominee, Justice Neil Gorsuch. The Trafalgar poll also provided another interesting data point, and one that is most unusual. Though a gender gap is detected within this West Virginia polling sample, the results are opposite of what we normally see. Here, males are voting more heavily Democratic than females. According to the Trafalgar data, males support Sen. Manchin by a 53-37 percent margin, while females only support him, 47-42 percent. Therefore, Trafalgar tells us that we will likely see the Morrisey campaign adding extra emphasis towards pushing Manchin to vote in favor of Kavanaugh, and then taking credit for him supporting the nominee when he does, and beginning to heavily target men. 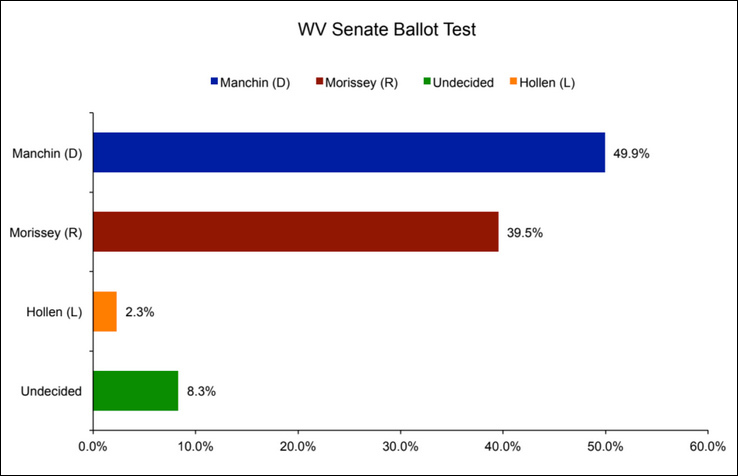 In any event, expect this West Virginia Senate race to substantially tighten as Election Day draws nearer.